Classic Blackjack is a new version of casino blackjack that has been created by Wizard Gaming, an up-and-coming manufacturer in the online casino software realm. 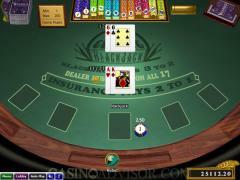 It is a single-hand game, played with one regular deck, shuffled at random at the conclusion of each hand. 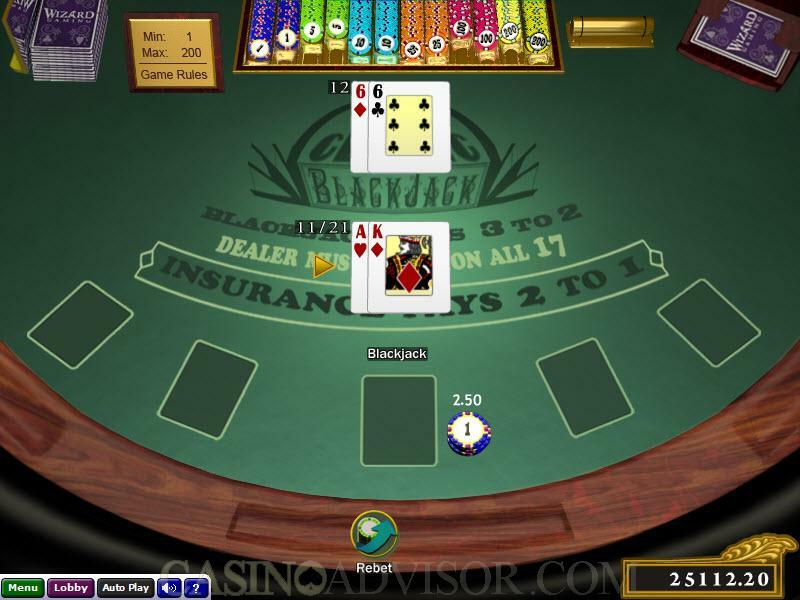 It is played on a blackjack layout that has five betting spaces, and has a chip rack, discard tray, a shoe and a set of rules that are easy to access by clicking an icon that appears on the virtual "table." Classic Blackjack from Wizard Gaming is played with a single deck of cards, on a layout with five spaces, although you can only make bets in the square that is in the center, and only one bet can be made and one hand played at a time. Some of the rules may be the same as you are familiar with, although there are notable exceptions that are a bit more restrictive than you are used to. The dealer must stand on all 17's and hit 16. As the player, you can double down on 9. 10 or 11, but you cannot do soft doubling, which means you can't double on a two-card hand that contains an Ace. Two ten-value cards that are not a pair cannot be split. The dealer does not peek under the hole card. Obviously, it is not surprising that tens drawn to split aces are simply "21" and not "blackjack" (which would bring a payout of 3-to-2. Like any other version of blackjack, what you want to do is accumulate a total in your hand that is greater than that of the dealer without going over the total of 21, or to stay under 21 while the dealer exceeds that total (or "busts"). 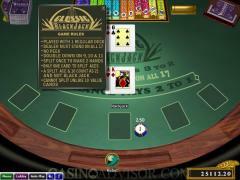 Interested in reading more detailed information about Classic Blackjack? If so Click Here for more details.